This volume is organized into six sections encompassing 33 chapters and begins with an overview of the evolutionary problems of molecular biology. 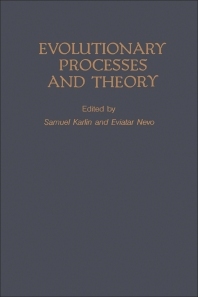 Some chapters are devoted to topics such as the role of gene regulation in evolutionary processes; the structural diversity and evolution of intermediate filament proteins; and adaptation and evolution in the immune system. The next section examines the tempo and mode of molecular evolution, including that of hybrid dysgenesis systems, as well as the statistical aspects of the molecular clock. Later chapters focus on DNA and protein sequences; sexual selection and speciation; and the relation between speciation mechanisms and macroevolutionary patterns. The book also methodically explains population genetics, with particular reference to the altruistic behavior in sibling groups with unrelated intruders, the endosperm evolution in higher plants, and the evolutionary aspects of sexual reproduction in predominantly asexual populations. This book will be of interest to geneticists and molecular biologists. Are the Major Histocompatibility Complexes of the Mouse t-Haplotypes Distinctive Gene Pools?